Silence. It makes us uncomfortable when it’s more than a few polite seconds. We treat it with suspicion. It elicits anxiety. We avoid it. How is it that silence has become a currency that we reject, a fear that paralyzes us and a common-day occurrence that seems other worldly? In the Bible silence is equated either with the presence of God, or it’s the mode to which are regulated the dead and the foe. Yet the scriptures of the Bible also lift up silences the beginning to wisdom, the key to insight, the path of spiritual depth. How do you relate to silence? ; as something painfully uncomfortable to avoid and flee, or as a mystery to be embraced and sought after? Does sitting in silence drain your energy or renew it? 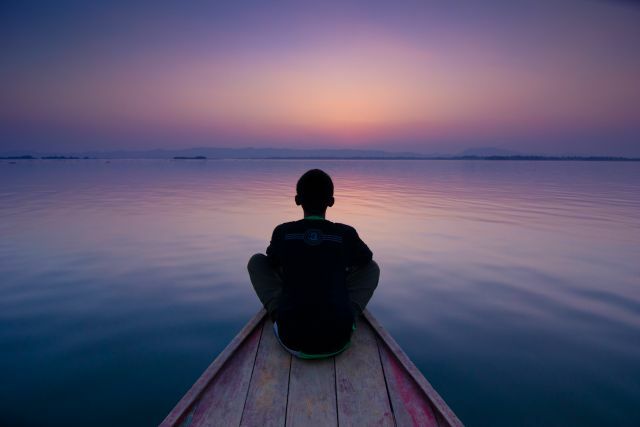 How have you experienced silence in your life as a spiritual enlightenment? ; and as a emotional terror? Sit in silence for 1-5 minutes. Be mindful of your breath, the source that keeps your life going – even when you’re not consciously making it happen. Be aware of the ground underneath your feet – supporting you, giving you security, shaping your path.